Guisborough 2nd XI v Newton Aycliffe 1st XI – weather was hot and sunny. Guisborough won the toss and chose to bat first. Luke Telford 40 not out, Michael Howe 30 and Joe Haines 27. Aycliffe’s first team got back to winning ways with a straight forward eight wicket victory away at Guisborough 2nd XI. Luke Telford (sponsored by Pheonix Energy, pictured above) was awarded the man of the match for an outstanding all round display (photo attached). 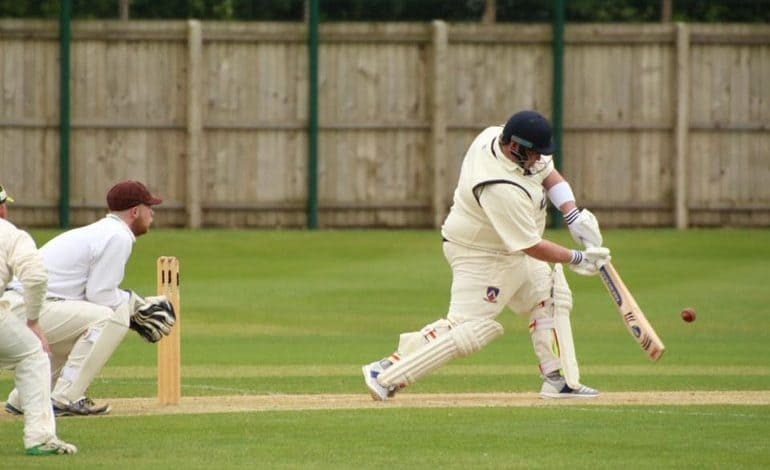 He finished with the amazing bowling figures of 13 overs, 8 maidens, 2 wickets for just 11 runs and then top scored in the Aycliffe reply with 40 not out from exactly 40 balls and his innings included six boundaries. This welcome win moved Aycliffe up to 8th in the table and they now have 89 points from 9 games played. Newton Aycliffe 2nd XI v Sedgefield 2nd XI – weather was hot and sunny. Sedgefield won the toss and chose to bat first. The second XI were well beaten at home to promotion hopefuls Sedgefield 2nd by 110 runs despite a spirited performance by the inexperienced team. 17 year old George Slatcher (sponsored by Pheonix Energy) was man of the match after an excellent career best innings of 47, which included nine boundaries. The 2nd team remain in 7th place in the table with 32 points from 10 games played.